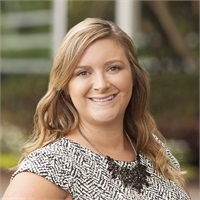 Erika joined our firm in 2017, and serves as an Administrative Assistant to Bob Prestridge. She assists Bob in overseeing senior living, planning, the retirement income process, timing, and management, as well as assisting with clients' day-to-day needs. Erika is a graduate of Old Dominion University, where she earned her Bachelors in Business Administration with a focus in Marketing. She has spent most of her life in Virginia Beach and enjoys spending her free time outdoors and at the beach with her family.